Shaka Pipe was inspired by the classic Proto Pipe, which is arguably the most popular smoking pipe of all time. I was making leather cases for Proto Pipe and giving them out along with a Proto inside as gifts to my puffing friends. However, one day, I couldn't source any Proto pipes anymore. I tried a couple of knock-offs, but the quality was terrible. With a Tormach 1100 we had at our motorcycle parts shop, I started to make my own and tried to address a few inconveniences of the original Proto Pipe. After a dozen prototypes, the "Shaka Pipe" was born. 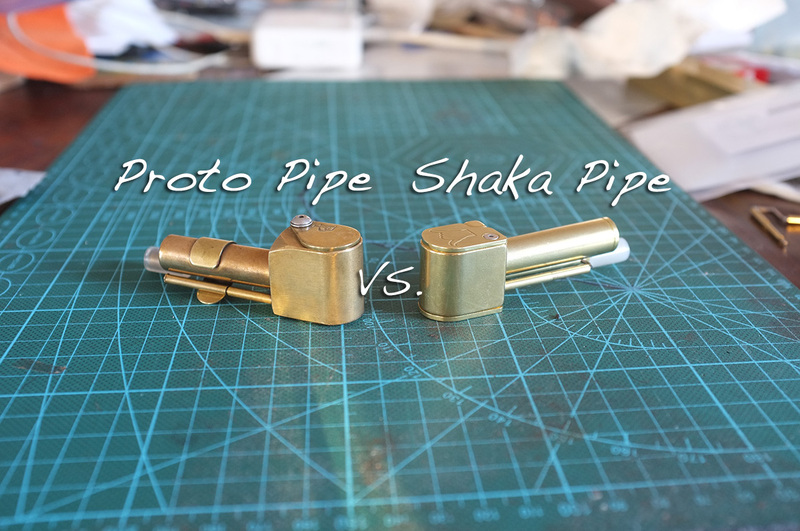 Here is a comparison between the original Proto Pipe and the Shaka Pipe.